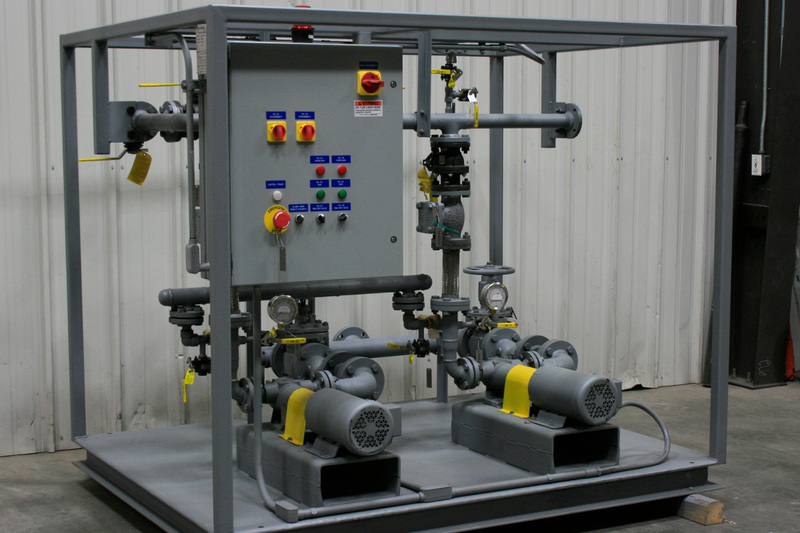 Fuel Oil Packaged Pumping Systems are engineered and manufactured for reliable delivery of fuel oil to any boiler or generator equipment. 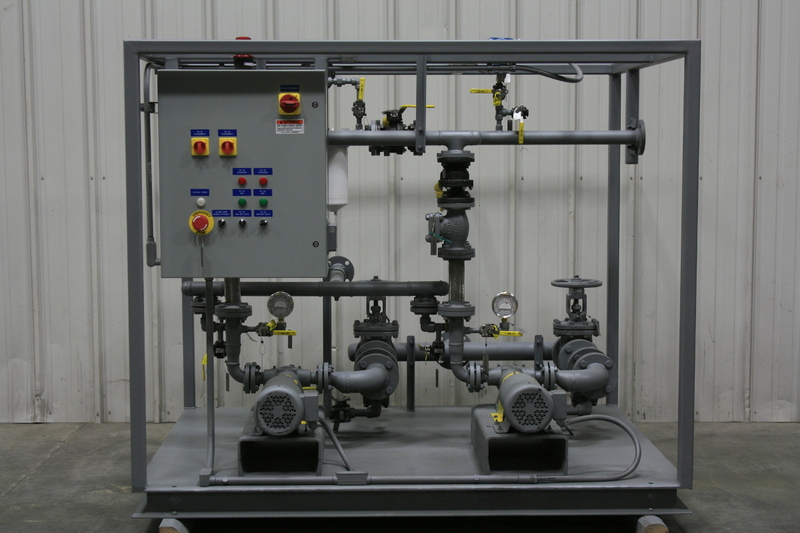 Typical systems utilize positive displacement pumps with internal pressure relief valves and inlet fuel strainers. 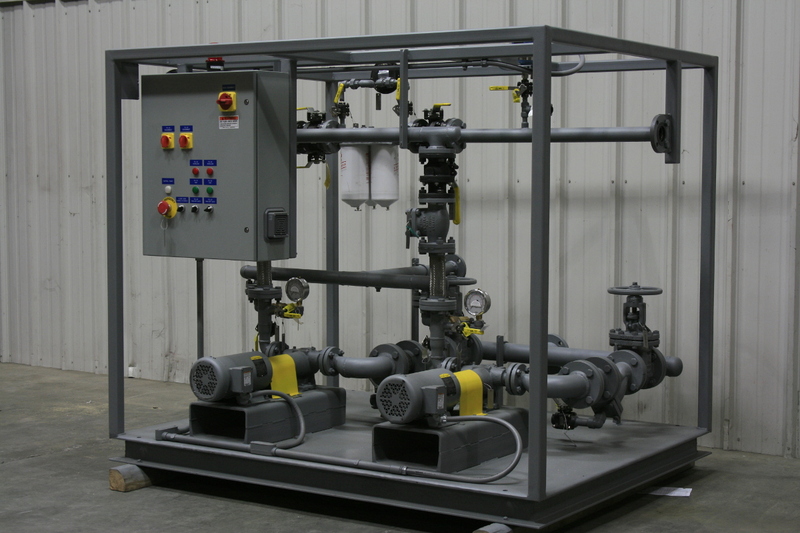 As a custom designer of packaged systems, Envirosep can fit any space requirements. 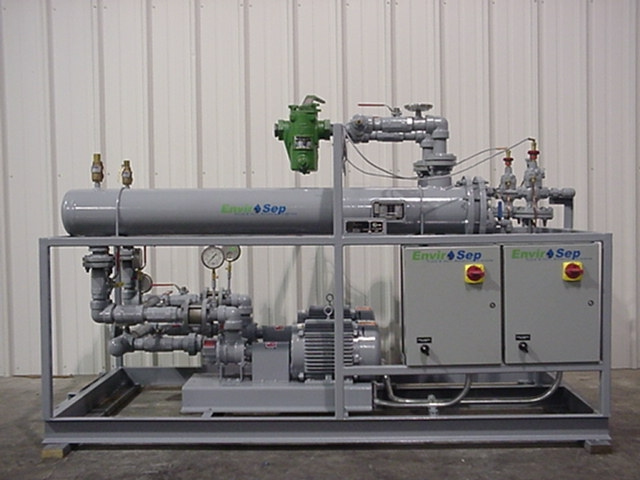 Envirosep systems carry as standard an Underwriters Laboratories (UL) Listing as a packaged pumping system, come equipped with an integrated, UL-Listed industrial control panel. All systems are fabricated and welded per ASME, Section IX Code and Standards and are hydrostatically tested prior to shipment.